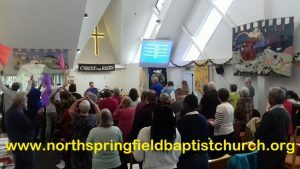 I am Minister of North Springfield Baptist Church in Chelmsford, Essex CM1 6JP – see www.northspringfieldbaptistchurch.org. See also our church Group on Facebook. I have been a Baptist minister since 1986. 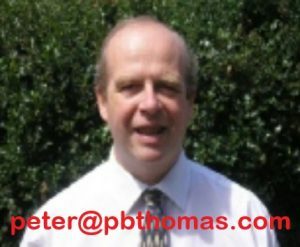 I previously served churches in Tunbridge Wells, Borehamwood. Brentwood and now North Springfield. i am particularly interested in New Testament theology, pastoral ministry, outreach and church growth and new media. From a background of no contact with Christianity I became a Christian at the age of 16. I went from Manchester Grammar School to Trinity Hall Cambridge to study Natural Sciences eventually specialising in Organic Chemistry. I took the PGCE with distinction and the Charles Fox Prize at Cambridge and moved from teaching practice to my first job teaching science and later also Computer Studies under (now Professor Sir) John Holman at Watford Grammar School. After four years and a couple of minor publications I moved (with many happy memories) to study Theology at London Bible College (now London School of Theology). I was ordained to Baptist Ministry in 1986 and became Assistant Minister at Tunbridge Wells Baptist Church under Rev. Philip Gathercole. I was particularly involved in establishing their Learning Centre which led to writing HELP 1 published by the Baptist Union of Great Britain in 1991. (See HELPs – resources for Christian Education.) I was also privileged to serve for two years as President of the Tunbridge Wells Council of Christian Churches. In 1991 I became Minister of Borehamwood Baptist Church. During the next eight years we were excited to work with Elstree Congregational Church in establishing a church plant “Elstree Free Church – a different kind of church”, one of the earliest examples of Cafe Church holding its Sunday Services seated on chairs around tables surrounded by Monet prints. Elstree Free Church has always had a particular ministry with friends with Learning Disabilities. Meanwhile during 1993-1995 I was enabled to study part time for the MA in Aspects of Biblical Interpretation at London Bible College. In 1999 we moved to a new challenge as Minister of Brentwood Baptist Church in Essex. This gave exciting opportunities for links with churches in Bulgaria and Uganda, and I have now visited Uganda twice and Bulgaria three times. In November 2001 I also took on the responsibility of Moderator of Churches Together in Brentwood and changed roles in 2007 to become Secretary. I was involved in establishing the national Churches Network for Gypsies and Travellers and was involved for many years with Harvest For The Hungry. I also served on the committee and as webmaster for On the Move East “free lunch barbecue” missions. You can also follow what is happening on the Facebook Page for North Springfield Baptist Church. My wife Ruth is Director of Learning for the Multi Academy HEARTS Trust of Primary Schools. 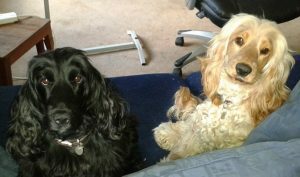 We have three children: Lizzie graduated in Pharmacology and qualified as a teacher in Cambridge and with her barrister husband Giles has given us our wonderful granddaughter Ellie; Susie graduated in Drama from Queen Mary College, London, and runs a dog-grooming business in South Wales. David has just obtained his PhD in neuroscience and is continuing research into Alzheimer’s Disease at University College London.